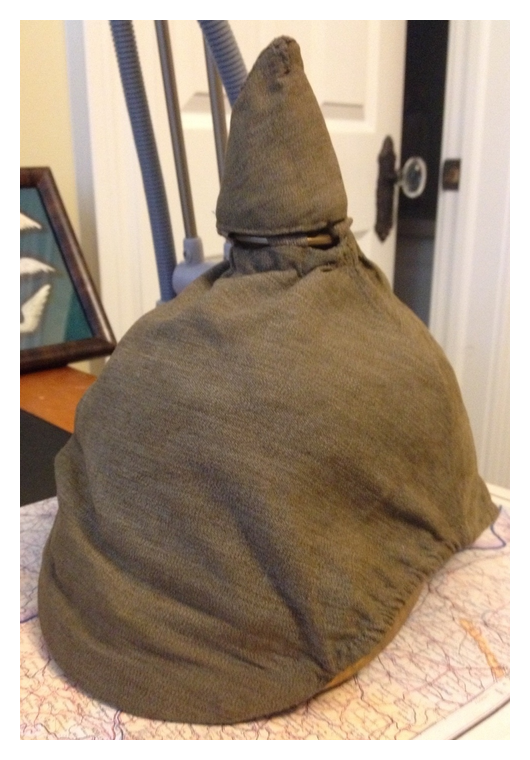 Here is an unusual item. This is the “HJ-Sommermütze” but in white. 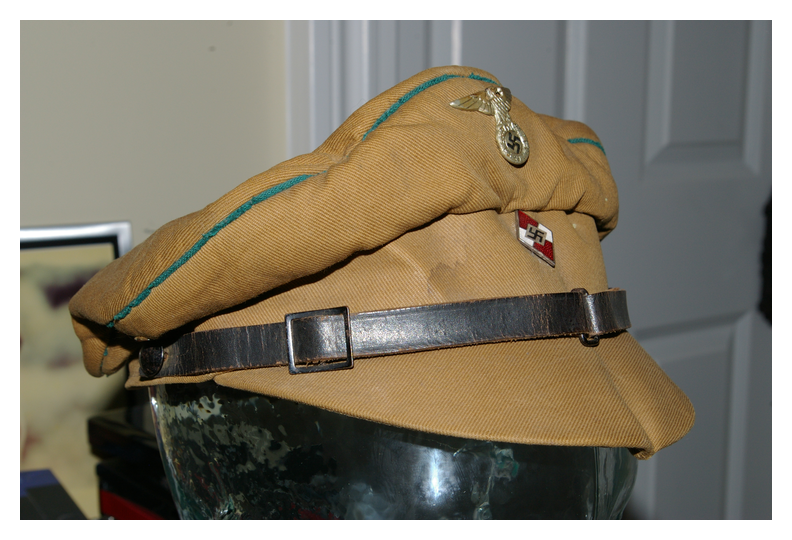 I have the standard tan one here and the black one for the motor corps here. 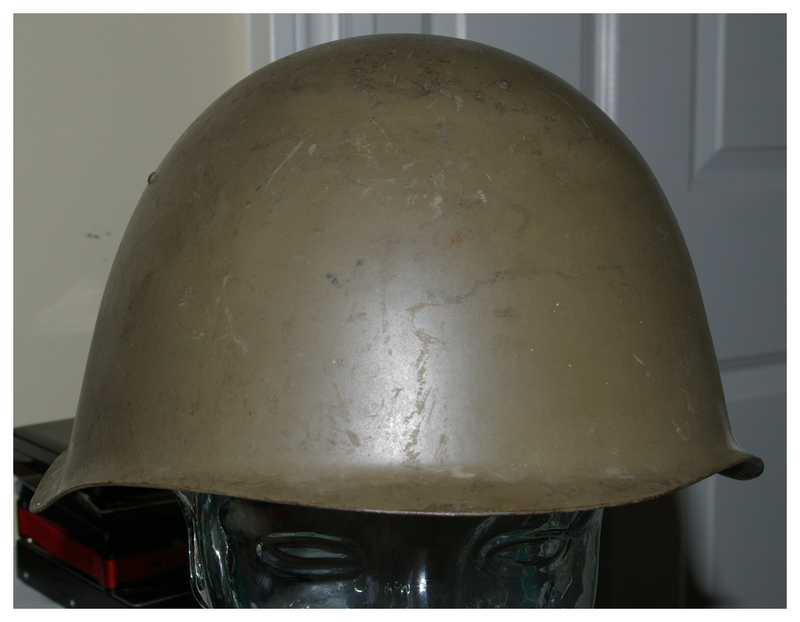 I ask around and the consensus for this one is that it is a Marine HJ item, possibly AHS. 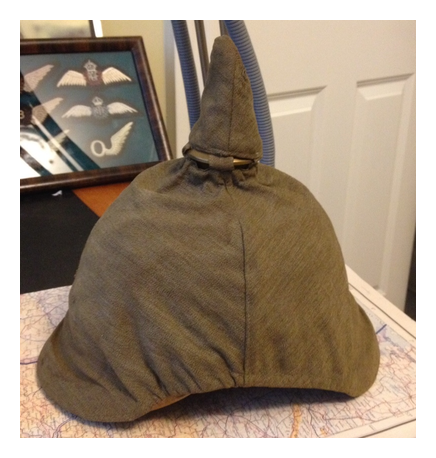 I have had my Prussian Infantry Pickelhaube for about 10 years and in all that time have only see two of the cloth field covers for them. This one was just last week and I snapped it up now that I know how rare they are. 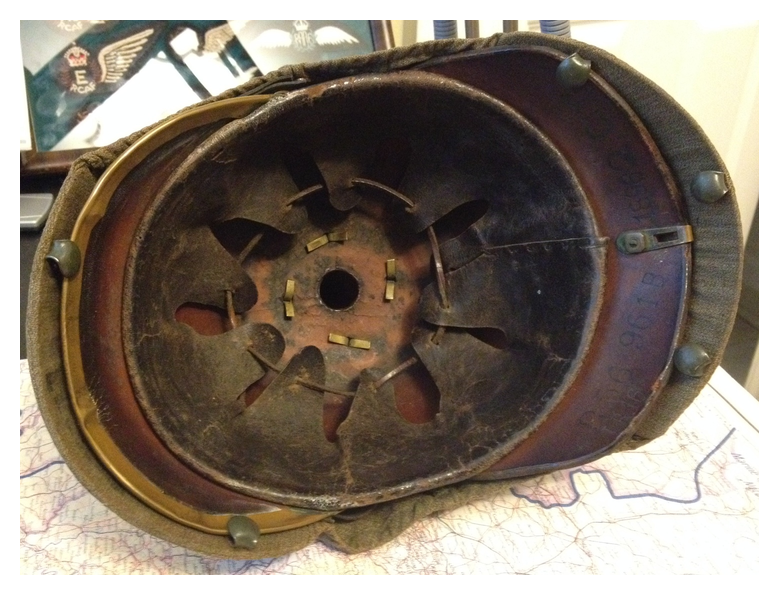 In the photos you can see it still has its fastenings intact. You can also see that I had it on backwards. Ha. 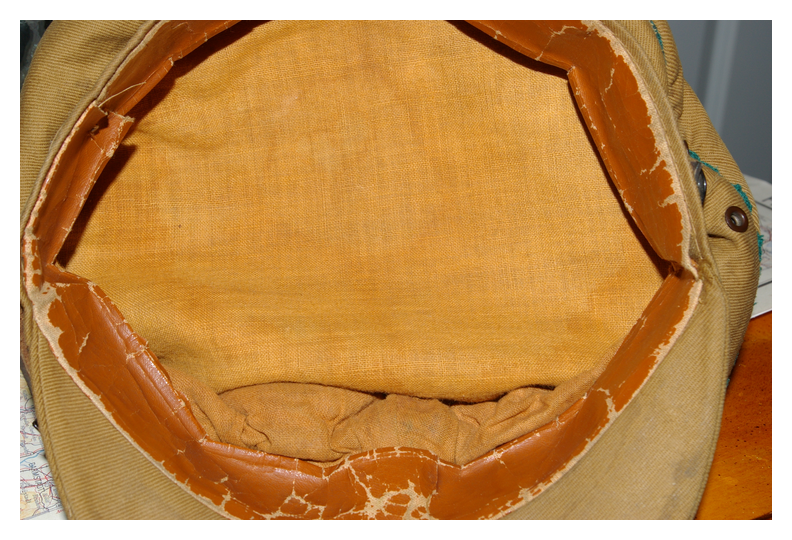 Here is the standard HJ winter uniform cap. 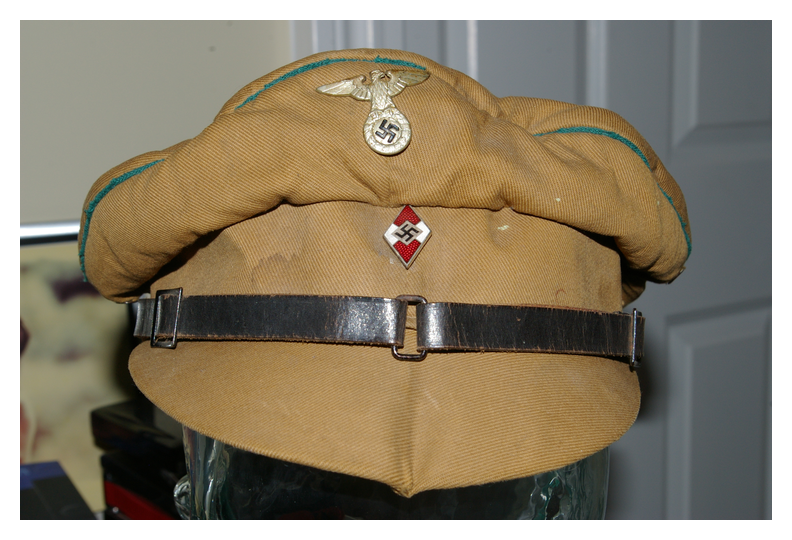 These look a lot like the flak helper cap but are set up differently with a set of two buttons. 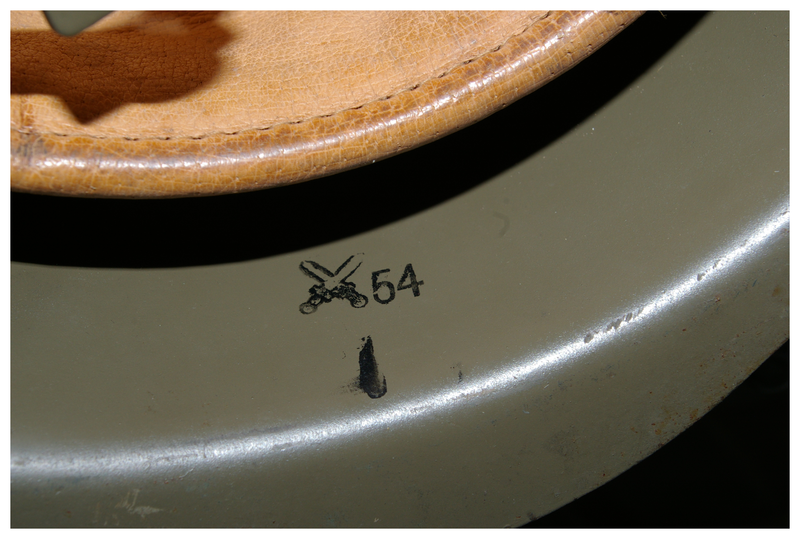 You can see a Flak Cap here for example. 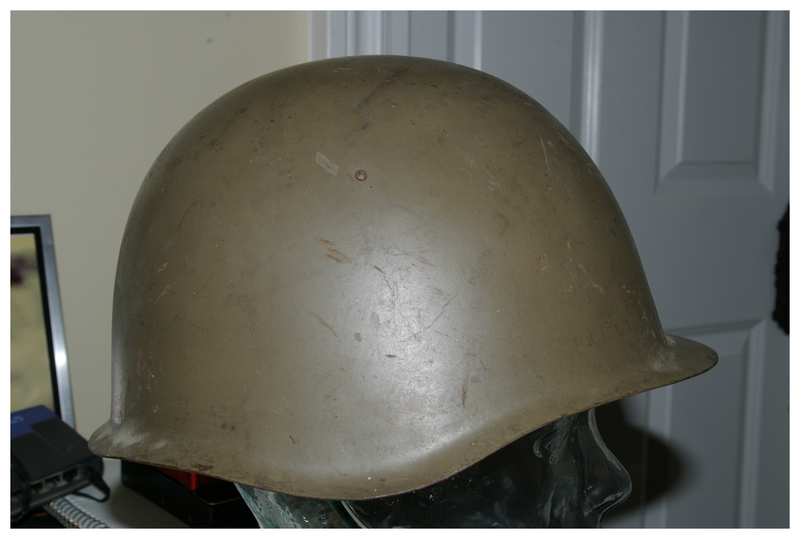 This is the most common of the Warsaw Pact helmets, the Czechoslovakian VZ-53. 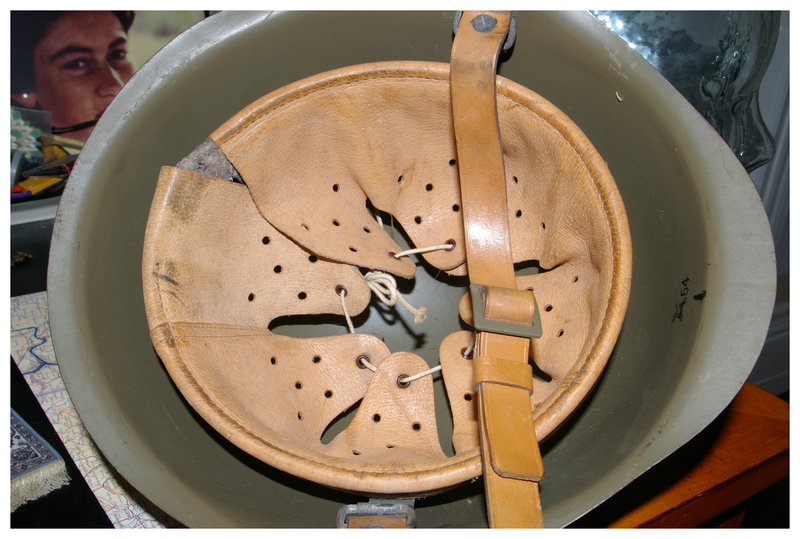 This is a Leader Visor for the HJ that has the green “Landjahr” piping. It’s obviously been folded flat at some point.